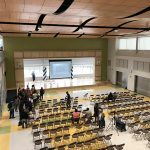 Baltimore City Public School (BCPS)’s Cherry Hill Elementary-Middle School celebrates its project completion with ribbon cutting. 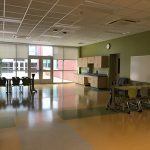 The Cherry Hill Elementary-Middle School was designed by SCHRADERGROUP (SG), documented by SG, GWWO and then built by JRS Architects with support from SG. 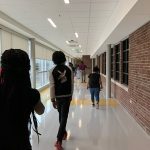 Cherry Hill Elementary-Middle School is a grades 3-8 school serving the Cherry Hill community of Baltimore. 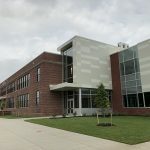 The building is an incredible melding of 21st Century academic design with the original 1930’s Cherry Hill building. SG is proud to have been the design architect of a building like Cherry Hill that will truly become a center of this community. 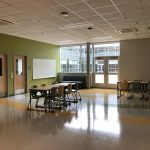 Learn more about the Cherry Hill Elementary-Middle School project here.